Archaeo Architects has recently been featured in the latest edition of Trend Magazine. 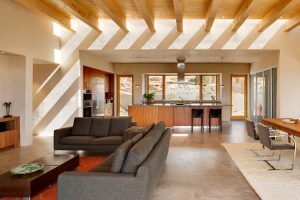 The Van Drimmelen/Gore Residence is presented as part of the Fall 2011/Winter 2012 edition. 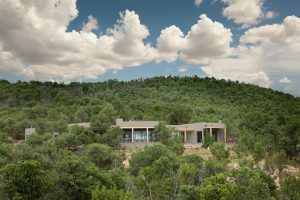 The house sits in the highest lot within the Bishops Lodge Esatets Subdivision just outside in Santa Fe and, due to being surrounded by pinon and juniper forest, has the feeling of a secluded retreat, whcih was just what John and shelly requested.